Having a green fleet is more than just running your vehicles on alternative fuels or energy sources. NTEA’s Green Truck Association (GTA) is dedicated to improving work truck efficiency and productivity. Often, this is measured by reduction of diesel and gasoline consumption and associated environmental impacts. 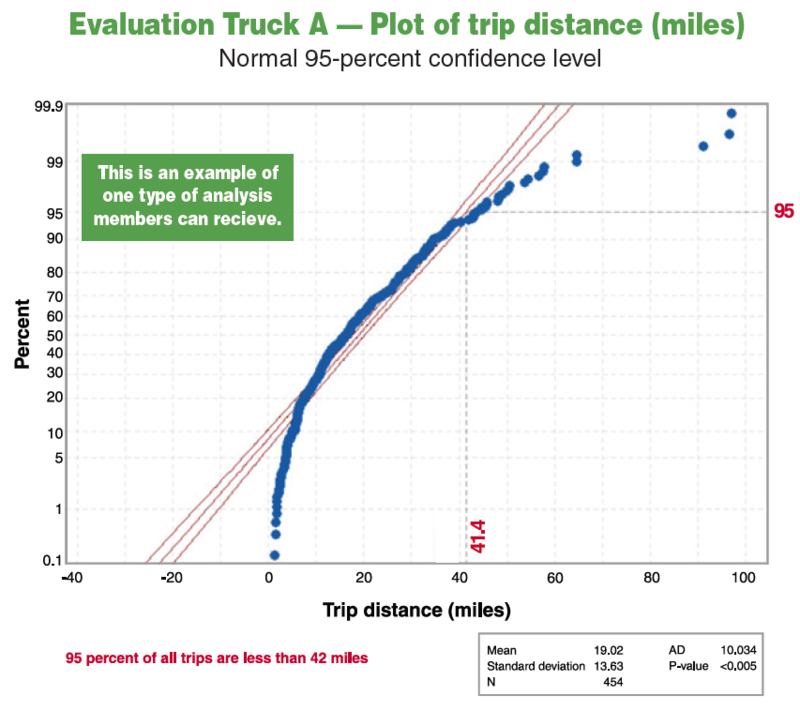 However, it includes making fleet decisions based on data analysis that creates improved performance with fewer resources. Connecting with peers and solution providers is one of GTA’s most valued benefits. GTA members engage industry colleagues and learn from those who’ve succeeded. Explore events like Green Truck Summit (held in conjunction with The Work Truck Show®) to discover the latest advancements in the green truck environment and network with those already traveling the road to a more efficient and productive fleet operation (details at worktruckshow.com/greentrucksummit). Members can get full access to the tools GTA provides. GTA members are on the forefront of advanced management techniques through enhanced decision-making using data (for example, predictive analytics), the latest powertrain technologies, onboard energy management and powertrain control systems. GTA offers members the resources and opportunities to build connections and find real industry solutions. GTA can help you shape and understand critical elements of the abundant data available to your fleet. Beyond relevant industry data, GTA can provide implicit and individualized data on your specific fleet through its data logger program. These custom-tailored studies can offer you information to help make specific decisions — giving you an opportunity to improve your fleet’s efficiency and ultimately reduce your bottom line. About GTA. Established in 2010 as an affiliate division of NTEA – The Association for the Work Truck Industry, GTA is a resource for legislative and regulatory updates, market data, technical and engineering solutions, and timely news on clean vehicle products and initiatives. Learn more at greentruckassociation.com, or contact us at 800-441-6832 or gtainfo@ntea.com.